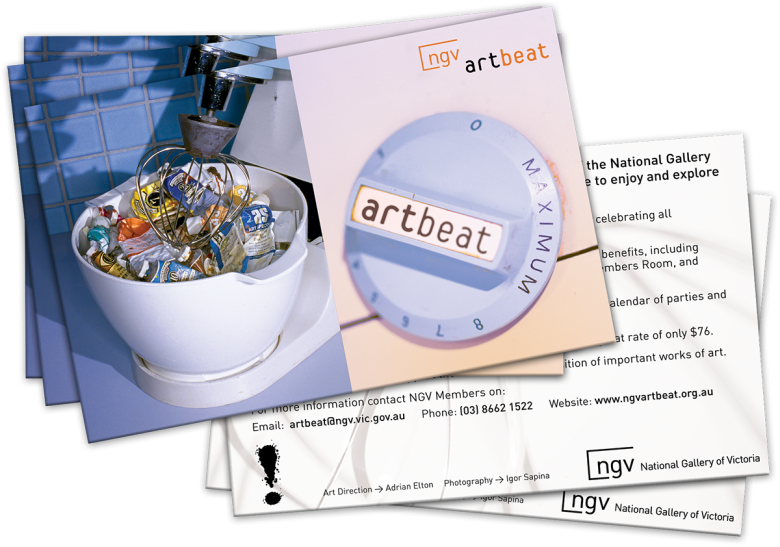 One of the highlights of my career thus far, was being invited onto the founding committee of NGV Artbeat, which was the young membership group of the National Gallery of Victoria. 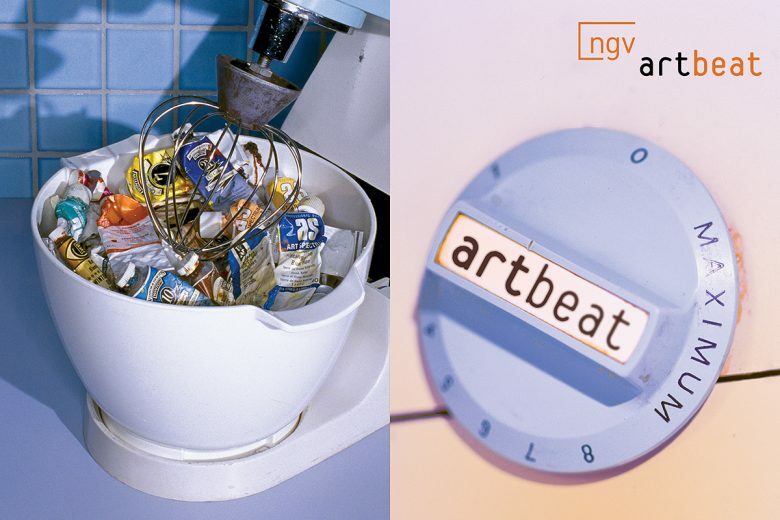 Over a three year period, we took Artbeat from initial concept and high hopes, to the acquisition of 3,000 new gallery members. This was at a time when the gallery’s entire membership was 12,000. Along the way, we hosted some of the most incredible events and parties that Melbourne has ever seen. Part of my contribution as a committee member was developing all of the creative materials for Artbeat, from our corporate identity, to event collateral, to general advertising like this. 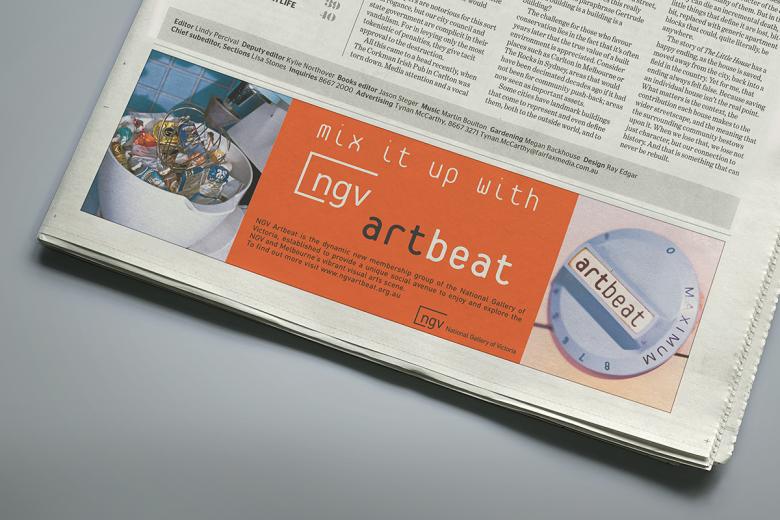 For this campaign I thought it would be great fun to literally visualise the words ‘art’ and ‘beat’ by filling up the mixing bowl of my mother’s old Kenwood mixer with a collection of dirty old oil paint tubes. Switch that beast on for some insta-Jackson Pollock!